The #realscicomp Competition is all about communicating to science communicators how best to communicate science: to enter, tweet @RealScientists or @btucker22 (hashtagged #realscicomp) a way you think scientists can better communicate; or in your view, what is the best way to pass information on, or is there a particular medium that works best – short tweets, articles, talks, pictures, etc. Entries due Sunday, May 5, 9am AEST, winners announced 10am AEST Sunday. Limit 20 entries per person/twitter account. Remember to hashtag with #realscicomp. Aside from rewarding the winners, all entries will be collated into a list which we hope to bring to you (via Brad) in coming weeks. Thanks again to Brad. If you missed anything from Brad’s week on the account, catch up on Storify: http://storify.com/RealScientists/realscientists-astrophysicist-brad-tucker. NEXT: Citizen of Earth, zoogeographer, and science communicator @DustinWelbourne. The fabulous Mia and Julie of @DoUBelieveInDog have left us bereft, trawling the web for beagle puppy videos and pictures of kittens. But wait! This week we welcome super astrophysicist and science communicator Brad Tucker to Real Scientists! 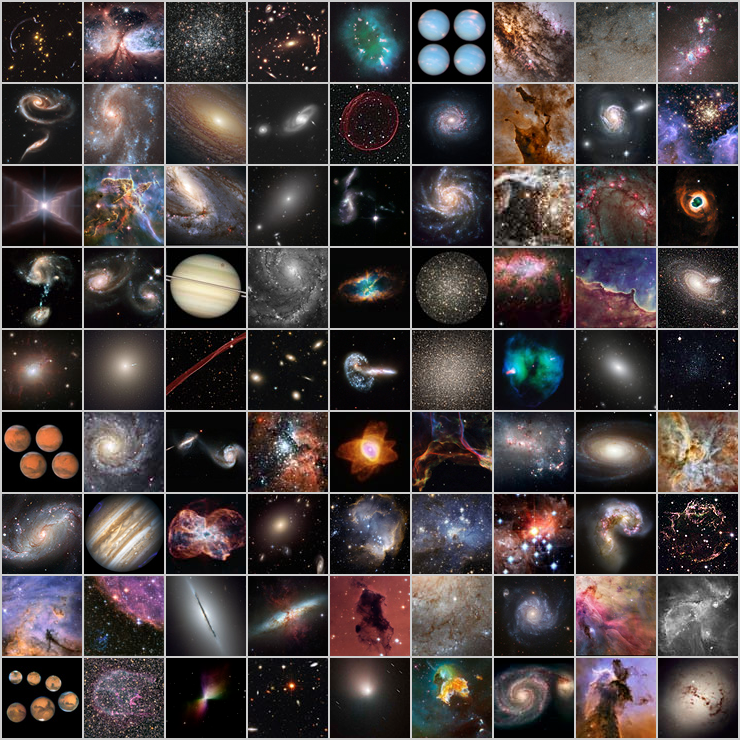 Brad Tucker is an astrophysicist/cosmologist at the Research School of Astronomy and Astrophysics, Mt. Stromlo Observatory and at the Department of Astronomy, University of California, Berkeley. Hailing from Sacramento, California, as a child Brad had a burning desire to grow up to become a garbage truck (seriously), as it “was an awesome truck and worked only one day a week.” When he realized he could not be a garbage truck, he wanted to become a professional soccer player like his father who played professionally in Mexico. When deciding on where to go to university, the choice was between between going to the US Military Academy at West Point to enter the US Army, or playing soccer at the University of California. However he chose neither and decided to go to the University of Notre Dame in Indiana instead. We came this close to have a General Scientist, guys. At Notre Dame, Brad entered the seminary, studying to be a Catholic priest. In addition to studying for the priesthood, which required studying Philosophy and Theology, he decided to also study Physics. Something about physics caught his imagination. Eventually, Brad decided the priesthood was not for him, and pursued Physics instead. While still at Notre Dame, Brad worked on a project in Spintronics, which is a branch of Solid State Physics and Nanotechnology, trying to harness the spin of an electron rather than its charge to fuel technology. So, while Cold Fusion maybe a distant dream, quantum energy could be a reality, all by changing the spin on an electron. Changing to Astrophysics / Cosmology, in his second year of university, Brad found his passion: Supernova Cosmology. While working on Supernova cosmology, the science of how giant stars live and die fabulously, Brad first encountered Nobel Laureate Brian Schmidt, who later became his PhD supervisor. 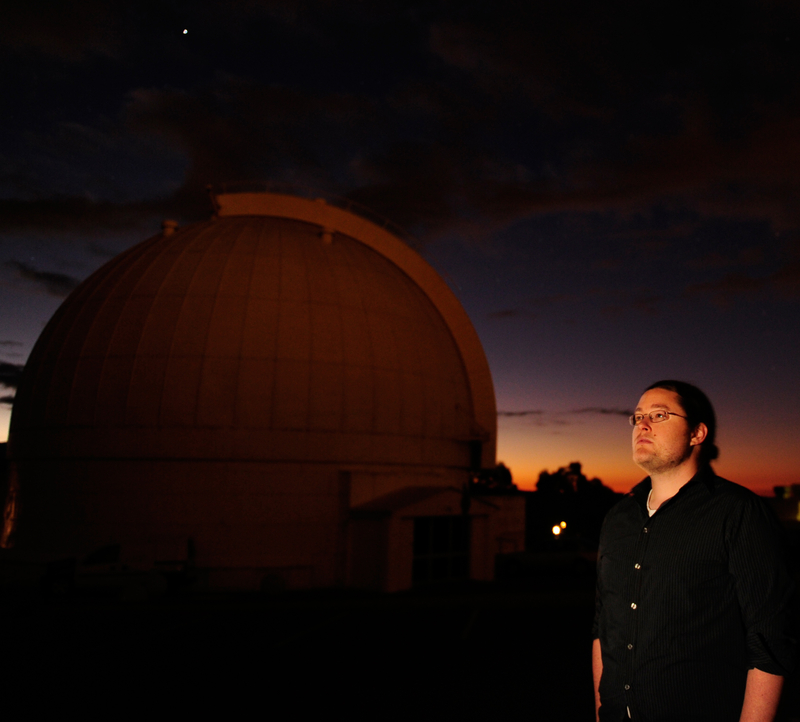 Brad’s work uses exploding stars to probe how the Universe has grown and evolved. While working on this project, he moved to Chile and then to Germany to work on other projects (while studying remotely at university). He graduated from the University of Notre Dame with a Bachelors of Arts in Philosophy and Theology and a Bachelors of Science in Physics, and is still interested in how science relates to religion. Brad has just submitted his PhD thesis, having worked at Mt. Stromlo Observatory, with some science communication and outreach work on the side, including winning his group in the 2012 Australian version of I’m a Scientist, Get Me Out of Here and hosting Open Days at Mt Stromlo. Brad is one of the leads of the project to discover the true nature of Dark Energy, the mysterious substance causing the accelerating expansion of the Universe. Why and how do stars blow up? What is the Universe is made of? What is Dark Energy and what lies beyond the Big Bang? Just your usual Sunday evening concerns. Brad also gets to play with the Kepler Telescope which discovers planets, and works out how to use lasers to zap space junk. You can read about some of Brad’s other work in @upulie’s article on the Transit of Venus here. In his spare time as an overachieving astrophysicist, Brad gardens, grows his own veggies, keeps chickens and a very cute beagle, wins competitions on the radio and still plays soccer. He also cooks for parties, with a special emphasis on Mexican food, which is why he needs to visit Real Scientists HQ as soon as possible for ah, technical reasons. We look forward to Brad’s week curating Real Scientists. He’ll be talking about his fascinating work, playing with giant and very expensive telescopes, dark matter, farming and food. Brad may even run a mini-competition of his own – so stay tuned! Welcome, Brad Tucker.